Dr Edwin Ong graduated with a Bachelor of Medicine and Bachelor of Surgery (MBChB) from the University of Manchester in the United Kingdom before returning to Singapore to further his medical career. He underwent training across various specialities including Orthopaedic Surgery, General Medicine, General Surgery, Emergency Medicine, Ear, Nose and Throat Surgery and Plastic Surgery. He has worked in Singapore General Hospital, National University Hospital, Changi General Hospital and KK Women’s and Children’s Hospital. During this time, he gained invaluable medical knowledge and experience. 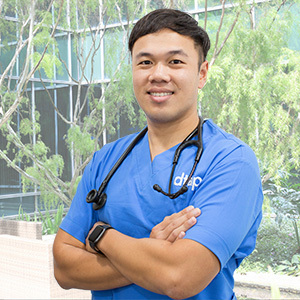 Fueled by a passion for Family Medicine, Dr Edwin entered into the field of General Practice in 2016. He holds the post-graduate qualification of the Graduate Diploma in Family Medicine. He cares for a wide spectrum of patients ranging from the young to the elderly, and working professionals. He subscribes to the concept of holistic medicine – that every patient should be treated as a unique individual with his or her own specific needs. He firmly believes in honest communication and works closely with his patients in order to achieve the best possible outcomes. including laser therapy, Botox and fillers. His special interests are in the areas of Sports Medicine, Mental Health and Chronic Diseases management. In his spare time, Dr Edwin enjoys giving back to the community as a volunteer with several charities. He is also an avid sportsman.